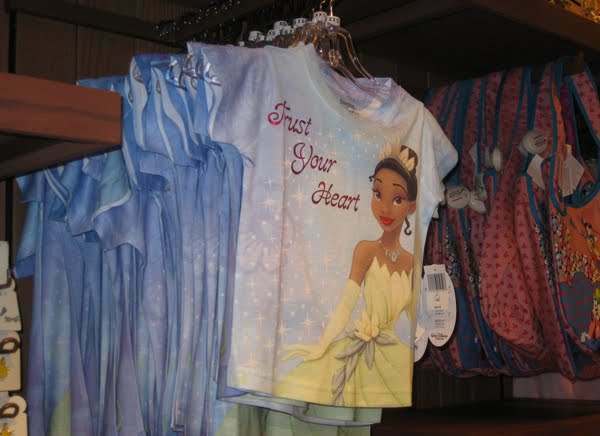 AS America talks about race and race and the need not to talk about race, Disneyland introduces its first black princess. Posters are up and products are on sale at the park, promoting the animated feature, The Princess and The Frog, and the character Princess Tiana. Tiana will be the ninth of Disney princess characters, which have rung up $3 billion in retail sales since 1999. Disney introduced the Middle Eastern Jasmine, its first non-white animated heroine in 1992’s Aladdin: a Middle Eastern character named Jasmine. Three years later an American Indian princess appeared in Pocahontas. The Broadway musical-style film is set in New Orleans during the Jazz Age. It opens in New York and Los Angeles November 25th and goes into wide release December 11th. Disneyland opened in 1955. The Walt Disney Company announced it had begun work on an animated featuring its first black princess on March 12, 2007. Barack Obama had announced his candidacy for President on February 10th.